Short news items and information from MAS & the local community. A reminder that school finishes this term on Friday 10th of April at 2pm and that Term 2 begins on Monday April 27th. Next Friday, the last day of school for Term 1, Maitland Area School is hosting a Youth Day as part of the Youth Week celebrations. For the first time we are working in partnership with the Youth Week Council, Yorke Peninsula Council, Point Pearce Aboriginal Council, Country Health SA, Office of Youth and SAPOL to host an event such as this. The day will have a number of stalls from different agencies that will provide information for families and young people. There will also be an element of fun as part of the day with Jumping Castles, Face Painting, Sumo Suites, Velcro Wall and a sausage sizzle being available for all attending. It would be great to see as many community members as possible attend what should be a fantastic day. The SRC has voted for students to wear casual clothes on this day for the cost of $2. The money collected will be used for future SRC projects. Special Showdown donuts (A Fundraiser for our Canberra trip) will be available at the Canteen on Friday May 1st. Students may order these through their class teacher, who will distribute order slips. Slips with order details and payment will be collected by class teachers up until the morning of Wednesday April 29th. Donuts are $3 each and as we order the exact number through Balfours we cannot accept late payment or orders. So choose your team, order your donut and pick up at lunch time on the Friday May 1st! 3rd training Thursday 9th April 3:30pm at Maitland Oval. 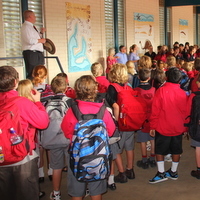 Primary and Secondary students will be attending an online Safety Presentation delivered by the Carly Ryan foundation. In addition to the presentation being held at MAS, Yorke Peninsula Council are proudly sponsoring the Carly Ryan Foundation in providing a community presentation about online safety. The presentation will be held in the Minlaton Council Chambers on Thursday, April 9 2015 at 6.30pm. There is no cost to attend and the presentation runs for around an hour. Come and Try Sessions for YP soccer will be held at Moonta Area School on Sunday April 12th between 10 – 11:30am. If you are aged between 4 (turning 5 this year) and 17 you are welcome to become a player for the Yorke Peninsula Soccer Association. Come and have a go this weekend! 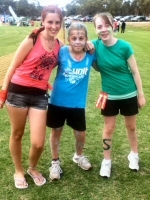 There's more National Youth Week fun on April 12 down at Yorketown. (See advertisement earlier). Maitland students can catch a free bus down to the event. It leaves from the Maitland Town Hall at 8.15am and returns at 5.50pm. Please see the front office for booking forms. MAS musicians and singers are encouraged to join in the many music performances on offer on the day. The Festival Choir and Concert Band will be performing at this year's ANZAC Dawn Service. Old Scholar musicians are welcome to join the band; meet at 6:15am at the war memorial. Please contact the school if you need music before hand. At the end of 2013 Mrs Kaye McCauley retired from teaching at Maitland Area School. To acknowledge her many years of dedicated service there will be a special assembly in the Performing Arts Centre at 10 am on Friday April 4. This will be followed by a morning tea in the CYP Library. All members of our community are welcome to come and celebrate with Kaye. To assist with catering it would be appreciated that if attending you contact the school on 08 8832 2613. The voting has closed for our two new house teams. Thank you to the families, students and staff who provided suggestions and voted during the process. 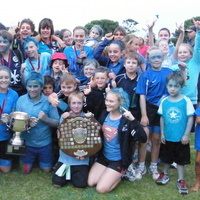 The vast majority of votes were received for the team combination: Vincent Sea Eagles (Red) and Spencer Sharks (Blue). We will now undergo a process to allocate students and their families to the two new teams ready for 2014. 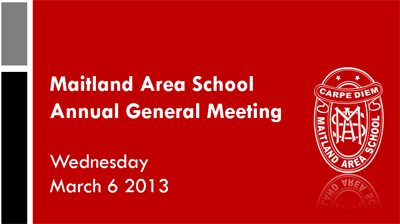 This year our Governing Council AGM will be held on Wednesday the 6th of March at 7:30pm in the Performing Arts Centre. A letter from Governing Council will be sent home shortly outlining the importance of this body and encouraging parents / caregivers to nominate. Nomination forms will be included in the letter home. The MAS School Leaders' Induction Ceremony commences on Thursday February 14 at 9.30am in the Performing Arts Centre. Prefects, SRC representatives, House Captains, the SAASTA team and Bus Monitors will be presented with badges and certificates acknowledging their leadership positions. Guest speaker is old scholar (and current teacher) Emma Atkins. The ceremony will conclude with morning tea. 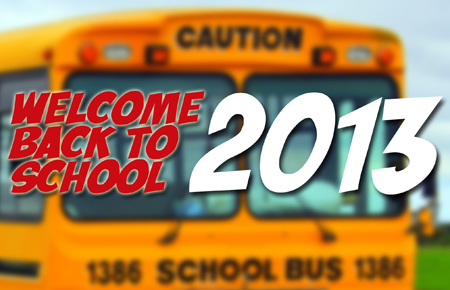 Just a reminder that school starts back again on Tuesday January 29. Don't come in on Monday - it's a public holiday! There'll be a back-to-school welcome in the Performing Arts Centre at 8:40 , where new staff will be introduced and students will meet their home class teachers for 2013. 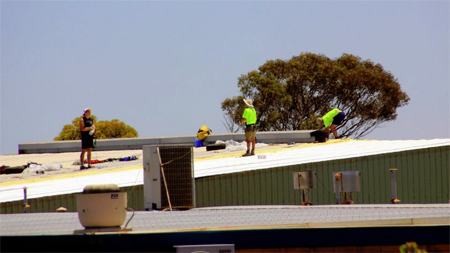 Builders were busy at MAS in the holidays, laying new panels on the Recreation Centre roof. The repairs address a number of concerns with rain and dust. We have been officially notified that Tuesday, 20th of November, has been declared a Catastrophic Fire Danger Rating day. The school will be open but buses will NOT be running. We are looking forward to our Twilight Sports Carnival and encourage students to show house pride by wearing their house colours, encouraging others and displaying good sporting behaviour. Students will arrive at school at 12:30pm and move to home classes for the roll. We expect that they will have already eaten their lunch at home. Following this, classes will move to the secondary oval for the official opening at 1pm. The first events will commence at 1:10pm. We are anticipating a 7pm end to the evening. 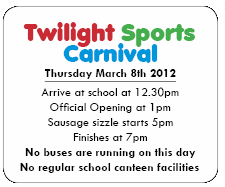 Catering will be limited on the day with the Governing Council providing a sausage sizzle from approximately 5pm. During the afternoon there will be sales of water, soft drinks, icecreams, chips and hotdogs. We are ask that students dress “sun smart” and have labelled water bottles with them on the day. Shoes must be worn at all times. PLEASE NOTE: Students in R -2 will be placed into the care of their parents at 5pm. Parents to meet students and teachers on the tennis courts for this to occur. For your own comfort feel free to bring along your deck chairs to enjoy the day. The McDonald’s Camp Quality Puppets are performing here in the Performing Arts Centre on Wednesday November 9th at 11am. This is an educational programme, using life size puppets to deliver a fun and positive message about supporting children living with cancer and other serious illnesses. The information shared aims to help children heighten their awareness of the need to care for and support others who may look, or be a little different, particularly because of physical problems. This programme links very well with Community awareness and Personal development in our school’s programme and relates very much to our children’s contribution to a more caring society. Parents with pre school children who would like to come and share in this presentation are very welcome. A summary of the school's Literacy Diagonstic review. Information on the upcoming Grandies Day. Details on the school's first ever 'Maurice de Rohan Scholarship ' - an all expenses study trip to London! Photos and news from this year's Book Week. Photos from the Choir's Magic Millions rehearsal. Lots of photos - Solar Paper Science, Margaret Menner visit, Whole School Assembly. The 2012 Year 10-12 Subject Choice booklet was distributed to students this week. A digital pdf copy can be downloaded here. Please contact the school if you have any queries. The warmest congratulations are extended to members of our staff who have been nominated for South Australian Public Teaching Awards. Joanne Shepherd has been nominated for Inspirational Early Career Teacher of the Year, our Special Education SSO staff have been nominated for Excellent School Support Staff of the Year and Tim Tuck has been nominated for Inspirational Primary School Teacher of the Year. Tim has also been selected as the DECS South Australian nominee for the Australian Primary Teacher of the Year in the Australian Awards for Outstanding Teaching and School Leadership. Well done and richly deserved! I had the opportunity to attend the finals of the SAASTA Power Cup Carnival at AAMI Stadium on June 26th. Our students played well and although they didn’t make the finals, they did win several awards at the formal dinner. You can read more about their weekend later in the newsletter. We can now build on the good work that’s been done by Mel McPharlin and Graham Walker to ensure the continued personal development of these students and their academic success in terms of the SACE. Thankyou to everyone who made me feel very welcome at MAS in my first week as Acting Primary Coordinator. 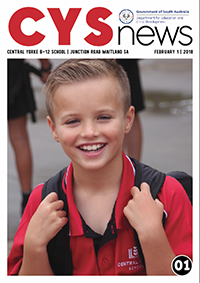 For those of you who don’t know me I have been teaching at Kadina Primary over the last 3 years and also filled in as Director at Maitland Children’s Centre for 2 terms last year – it has been great to see some familiar faces in the yard and also get to know some new ones! 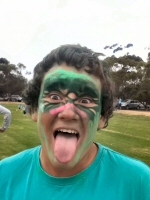 I live in Wallaroo and enjoy playing Netball and Basketball among lots of sports. I hope to get to know many more students, staff and community members during my time here. Scott has been working our school since the start of the term. He has been teaching in the Year 8 & 9 SOSE classes and in English with Year 6/7 T.
Scott is a final year teaching degree student at the University of Adelaide. Apart from his practical teaching sessions Scott was involved with the YP Cross Country event as a marshal. I know the staff and students wish Scott well in his career as a teacher and thank him very much for the contributions he has made at Maitland Area School. On sports day students were given the opportunity to participate in the SRC Photography challenge. It was a treasure hunt to see if they could collect photos of events throughout the day! Congratulations to all of the students who entered and down loaded their photos! From the students who entered the competition there have been four chosen to be in the running to win the $20 voucher to the toy store. To voite, just click on your favourite photo in the Survey Box. Students, family and friends are all welcome to vote for the winner. Voting will close at the end of the term. The winner will be published in an upcoming newsletter. The Concert band will be performing at the Rotary fundraiser on April 3. 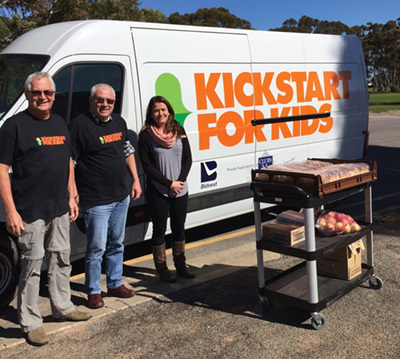 Please meet staff at the back of the Maitland Town Hall at 2pm to set up for 2:30pm. If you are free at 1:30pm please meet at the Performing Arts Centre to pack vehicles with equipment. The band will perform in the performance uniform – red polo, black pants and shoes. Please note details for Anzac Day Performance April 25th. Meet at 6.15 am at the Maitland War memorial. Please bring your own stand, music and instrument. Wear black pants/ shoes and school jumpers. A cooked breakfast is served at the Town Hall after the service. Last week we had the “Sammy D Foundation” deliver a very strong message to our Year 9-11 students. Sammy was a teenager who lost his life a couple of years ago when he was assaulted after a party. His parents do not want other people to suffer like they have had to. The students I have spoken to found the talk and discussion groups a very thought provoking and worthwhile exercise. The Governing Council AGM is scheduled for Monday 21st March in our Community Library. I would like to take this opportunity to thank the 2010 Governing Council for their work. Topics such as school uniform, curriculum, grounds, new facilities were just some of the work undertaken in 2010. On the same note I would like to welcome parents to nominate for the 2011 Governing Council. A letter to all parents will be sent home in the near future outlining the process for nominations. Our new changeable sign at the front of the school has now been erected. We will be using the sign as another means of communicating with our community. Thanks to the members of Governing Council for their assistance in the erection. Stay tuned for updates! Advancelife Photography will take our school photos on Thursday 24th February. Order envelopes have been sent home. Students are expected to wear full school uniform. Headbands are to be school colours only. Girls Summer dress, white socks, and black, brown or grey footwear. No shorts please. Boys Grey shorts or trousers, school polo shirt and black, brown or grey footwear. Prefects will be photographed in their winter uniform: trousers or skirt, white shirt, tie and blazer. Please take careful note of the instructions in the photographers’ envelope. Students may hand their envelope with money inside to their home-group teacher prior to photo day. Spare envelopes and Family photo envelopes can be collected from Mrs Simmons or Mrs Southwood at the bookroom. No ID envelopes will be given out this year. The Photographer requires $4 in a separate envelope with students name on it. This must be handed to the bookroom on photo day or beforehand. ABSOLUTELY NO LATE ORDERS FOR ID CARDS. Please do not put payment for ID in any other envelope. Please ensure you have the correct money for your envelopes as the Bookroom and Canteen are unable to give you change on photo day. Banking is done daily and no cash is held at the school overnight. At 8.30 on February 24 students are requested to gather near the Performing Arts Centre, in class groups for a whole school photo. Please leave school bags outside. This week, staff across the school have been working with Margaret and Roy Menner. Margaret and Roy are literacy specialists who work with school nationally and internationally to assist them to develop whole school, consistent literacy practices. We believe that specialist training coupled with the re-structuring of classrooms and the timetable will enable us to engage all students in quality literacy programmes. It was great to see the number of parents who attended our Meet the Teacher night last week. I believe that connections and relationships between parents, students and staff at the school are crucial to creating the optimum environment for student learning. Thanks again for this support and I know that those who attended enjoyed the impromptu tour of our new Performing Arts Centre. I would like to welcome our new staff Anna Taheny (Home Economics), Sarah Atkins (Primary), Chelsea Koch (PE & SOSE) and Graeme Walker (AFL Traineeship) to our school. They are all fantastic additions to our team and bring with them new ideas and enthusiasm.